Want perfectly smooth, soft and radiant skin? Meet hyaluronic acid (also called HA), your skin’s new best friend. HA makes up a key part of your skin’s basement membrane, a complex network of proteins that keep your skin firm and wrinkle-free, nourish your skin cells for healthy cell turnover and retain your skin’s natural moisture. Hyaluronic acid acts like a sponge, soaking up water to keep your skin naturally moisturized from the inside out, and plumps each skin cell to avoid saggy skin, fine lines and visible pores. Boosting HA through your diet offers long-lasting results -- not just the temporary effects you’ll see after applying an HA cream. And it’s simple -- just eat more of these widely-available, affordable foods and you’ll start seeing glowing, younger-looking skin ASAP. The key to boosting your hyaluronic acid levels? Lean proteins. Your body relies on a group of proteins to synthesize HA, and without them, it won’t get made. But eventually those proteins wear out or get damaged, and need to be replaced. That’s where dietary protein comes in -- it supplies the amino acids you need to make HA, so you can keep your HA levels as high as possible. Protein also helps you make other proteins, like collagen and elastin, that keep your skin looking young. Animal proteins, like eggs, skinless chicken breast, nonfat dairy and salmon, supply all the amino acids you need to make HA. You can also get your amino acids from plant foods, like lentils, beans, nuts and whole grains, though -- just make sure you’re eating a variety of these foods to get the amino acids you need. Serve up this ultra-healthy, ultra-simple baked salmon (or get a little nutty and try this pistachio-crusted salmon) get more beans with this healthy crockpot chilli, make protein-packed quinoa, and check out these 14 delicious egg recipes for inspiration. You already know fruits and veggies -- the best sources of vitamin C -- are good for you, but they help boost your HA levels, too. Vitamin C helps you make collagen, a key component of the basement membrane where HA is stored. Without a healthy basement membrane, you’re more likely to notice sagging skin and wrinkles, plus a dull and dry complexion from a lack of HA. The upside? It’s super easy to get your vitamin C needs by including fruits and veggies in your diet. Just 5 half-cup servings of any fruit or veggie means you’ll get more than double the vitamin C you need for healthy skin. Strawberries, oranges, grapefruits, red peppers, kale and spinach are the best sources of vitamin C -- just one serving will meet most of your needs. Need some veggie inspo? Check out these 15 recipes to get more veggies every day. Plus, start your day right with vitamin C packed smoothies. Also crucial for healthy HA? The B-complex vitamins. 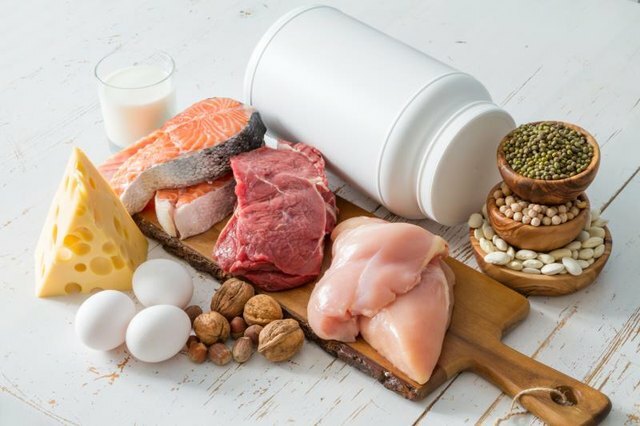 These eight vitamins help your body process protein, boosting protein metabolism so your cells have access to the amino acids they need for HA production. Certain B vitamins -- especially vitamin B-3, B-9 and B-12 -- also play a role in red blood cell growth. That’s important for getting younger-looking skin, since these cells transport oxygen to your skin, which supports HA production and cell turnover. B-complex vitamins are found in just about any unprocessed food -- from whole grains to fresh fruits to lean meats. But include lentils in your diet for a hefty dose of circulation-boosting folate. 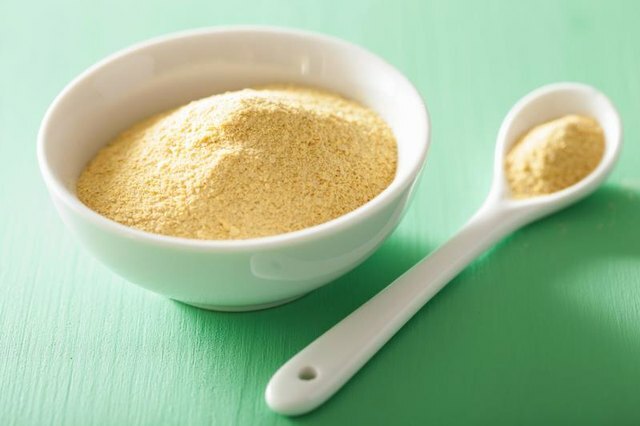 And include nutritional yeast (sometimes called nooch) in your diet as a vegan-friendly source of B-12 -- a nutrient typically only found in animal-derived foods. Whip up a simple (and hydrating) French lentil and kale soup. Or make crunchy nutritional yeast-seasoned popcorn for a delicious (and HA-boosting) snack. Bone broth isn’t just this year’s hottest health trend, it’s a great way to boost HA. Because bone broth cooks for hours -- compared to just an hour or two for regular stock -- it’s especially high in collagen, elastin and other proteins that make up your skin’s basement membrane. And while the collagen and elastin in bone broth aren’t directly taken up by your skin, they do contain the perfect mix of amino acids to maintain your skin’s basement membrane and boost your HA. Adapt our beef broth recipe for bone broth by increasing the simmering time to 24 hours (or more). Keep the pot covered to maintain moisture, so your broth doesn’t evaporate too much as it cooks. Add a teaspoon of chilli oil to your broth before serving for a little extra heat. Root veggies aren’t exactly the most glamorous foods, but they’re a great way to get longer-looking skin by boosting HA. This hidden benefit was discovered by Dr. Toyosuki Kimori, who noticed that residents of Yuzurihara, Japan maintained youthful-looking skin well into old age, and looked at their diets to figure out why. He found that those who ate lots of root veggies -- like taro and sweet potato -- had higher-than-average HA levels that helped them look young. The reason? These root veggies come packed with magnesium, a mineral essential for making HA, so they may boost your HA levels. Starchy root veggies are also naturally hydrating, so they help plump your skin so it looks younger. 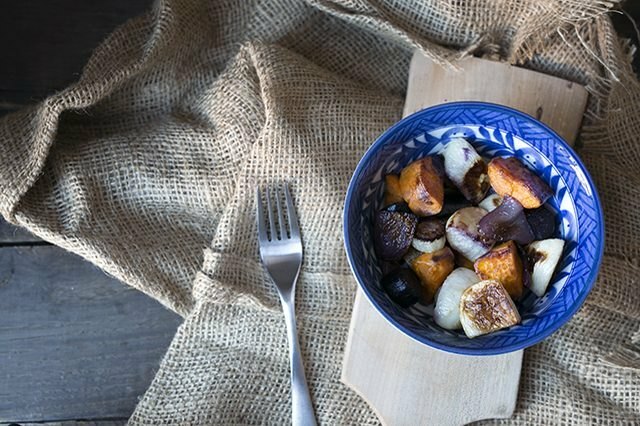 Satisfy a carb craving by making oven-roasted root vegetables, make sweet potatoes (3 different ways! ), or boost HA with a comforting cup of taro tea. 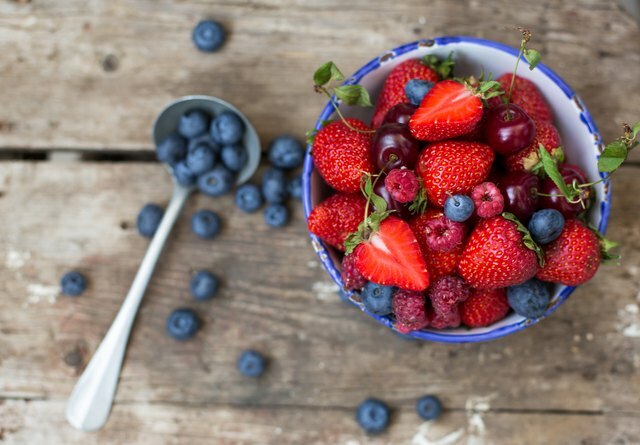 For straight-up glowing power, fuel on on these radiance-boosting foods. Have fun making these homemade face masks for beautiful skin. These 3 skincare tips will help you during times of travel.